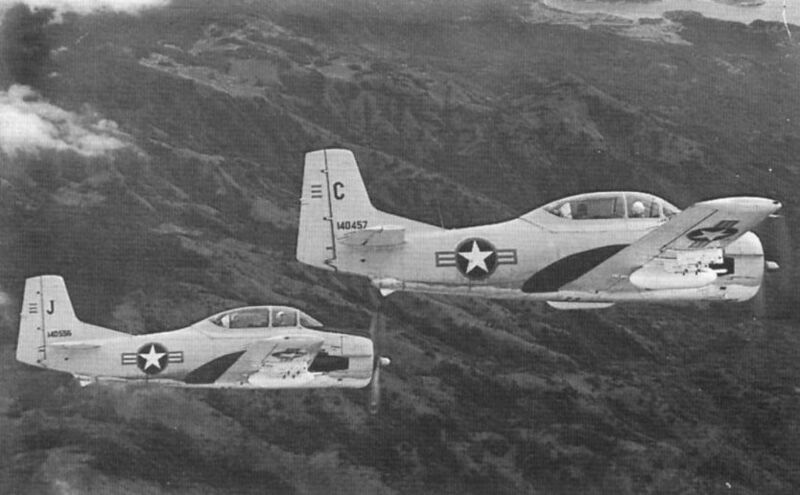 Two Vietnamese Air Force T-28s sweep across the sky during counter-insurgency training missions against the Viet Cong. 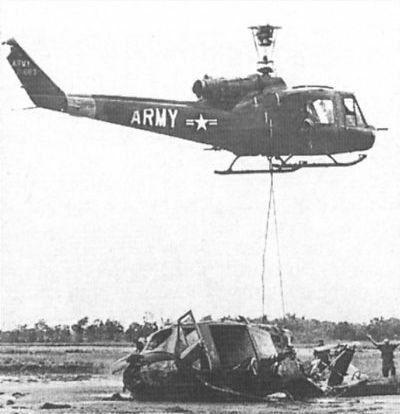 Crew members strip an H-21 that has crashed into an embankment while unloading troops near Cau Mau in July 1962. 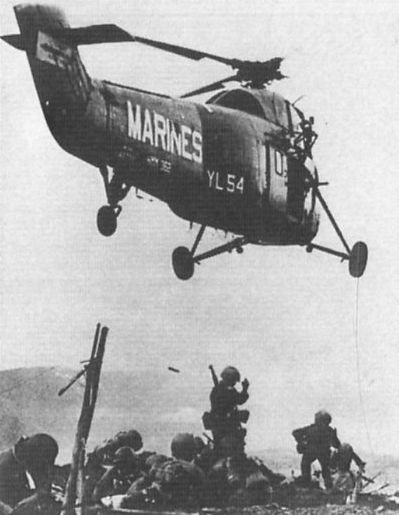 Troops from a second H-21 provide cover. A USAF Cessna O-1E Bird Dog flying a patrol mission. The Cessna Model 305A was a development of the Cessna Model 170 and was designated L-19. 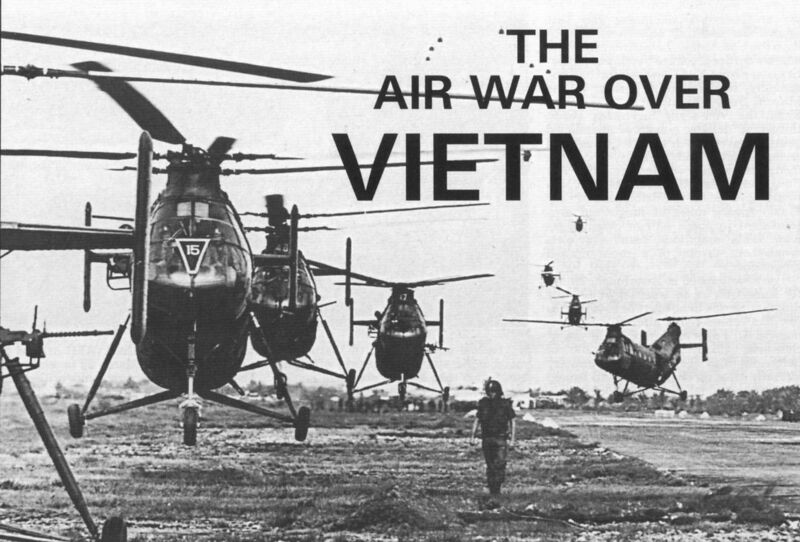 In 1962 it was redesignated O-1 to identify it as an observation aircraft. 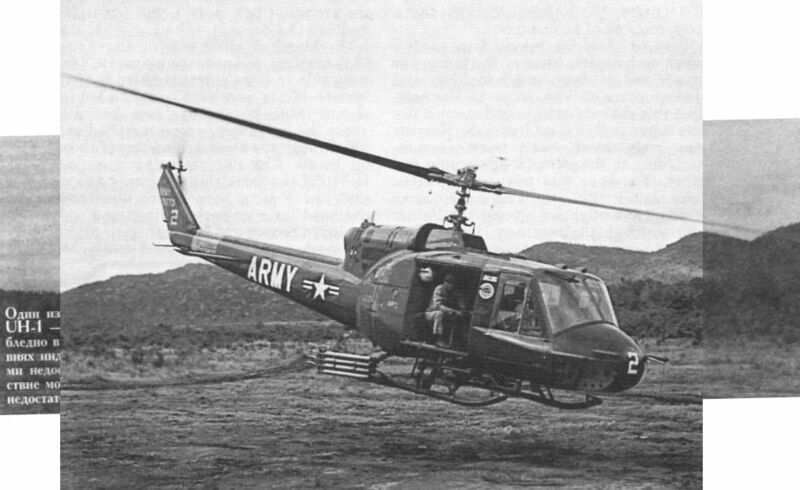 A UH-34 from Marine Squadron HMM-362 drops off a patrol in a cloud of dust. In March 1962 four F-102A interceptors arrived from Clark AFR in the Philippines. 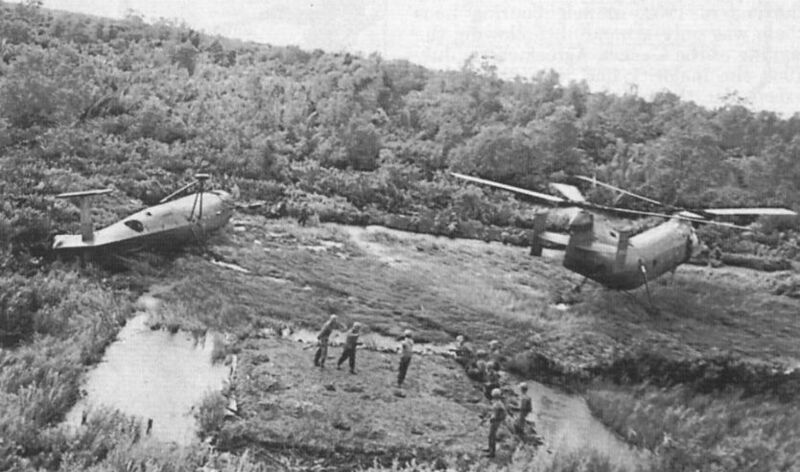 A Ranch Hand C-123 Provider flying a defoliation mission over South Vietnam. 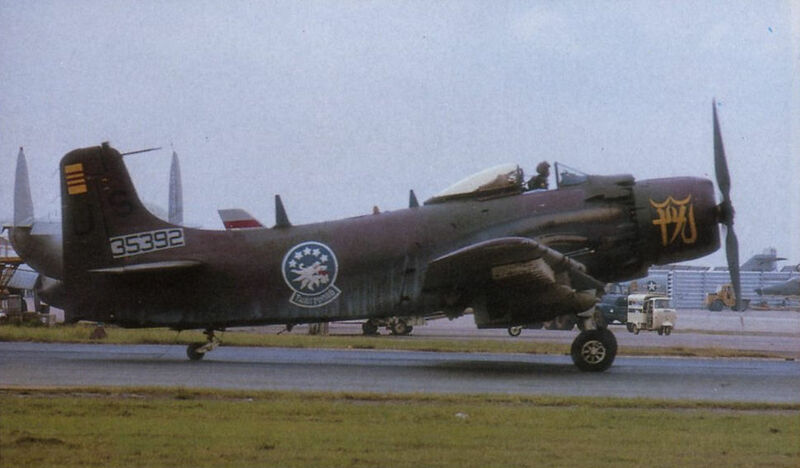 A Skyraider of the Vietnamese Air Force 522nd Squad­ron stationed at Tan Son Shut. The Chinese character on the nose is based on the ace in a pack of cards.